Hi Sun Bow, I just finished reading the Sasquatch Message to Humanity book 3 and I must say that it is a truly incredible book. I am currently implementing all the strategies in the book which, I know will take time, but having a guide of this sort is truly a blessing. 2018 was amazing for me as I discovered the Sasquatch to be real and this lead to me discovering Aja Andromeda (on your site) which lead me to discover my status as a starseed/lightworker. This was not apparent to me at the beginning of 2018 although I have always known that there was something inside me that was not of this planet. . As with most star/seeds I didn’t fit-in anywhere in human society even though I tried repeatedly to be like everyone else. Finding no one at any point in my life to guide me or help me understand this “otherworldly” feeling I was carrying around became a futile act that lead to extreme sadness and alienation. This book, of yours, though, has had a remarkable impact on me so much so that I felt compelled to tell you about it……. (I also can’t stop thinking about LImptbataook for some reason, possibly because we both like to be alone a great deal) . In the months since summer of 2018 I have slowly become immersed in the shamanic way of living so when I read this book (I also read the 2nd one this year) it was as if it was sent to me to answer all the questions I’ve been asking for months. Could the forest people have something to do with this? Perhaps but whoever prompted me to buy this book definitely knew what I was needing. 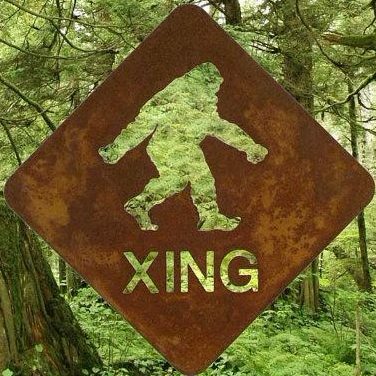 When this whole journey started back in March 2018 I simply thought my discovery of the Sasquatch was going to be the apex of this journey when in fact it was just the appetizer. Through the words of the Sasquatch Elders, Ets and channelers I have gained a new understanding of my role in human evolution and so I thank every person involved who has lent their words and time to creating this amazing piece of work. For someone like me (and there are many) who never felt as though I was a member of the human race I finally understand why I’m here and what my soul purpose is. This book has truly been a gift of immense magnitude such that my words are insufficient to explain the transformative power it is having in my life.